But now it's time to explore everyone's favorite subject: Food. 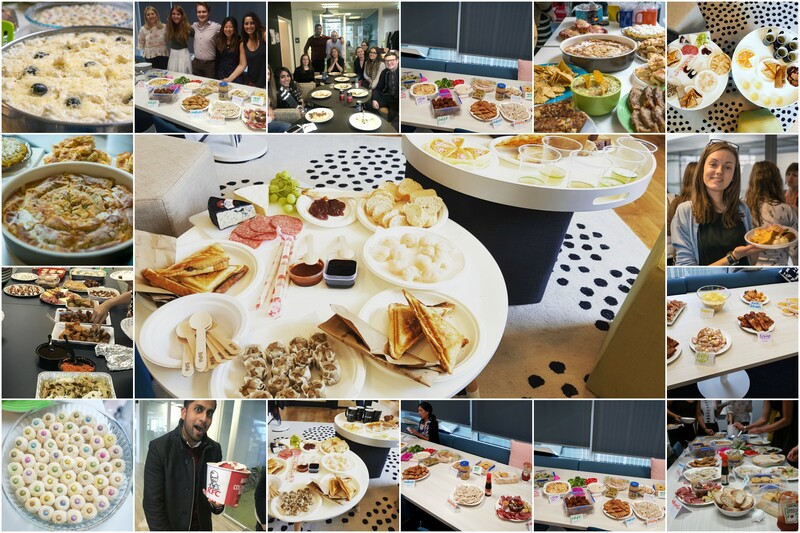 We announced an "RG Foodie Festival" last week, asking everyone to bring in foods reflective of their heritage – we saw foods and beverage that spanned the globe. As a reflection of my part-Irish and part-Asian sides, I brought in Guiness and Bailey's cupcakes, and sweetened condensed milk to make some Thai iced coffees, while our Sales Director Manjuri Layne brought in Indian treats, Senior Recruiter Carla Sutherland put together a tomato caprese kebab to nod to her Italian side and Research Mike Muldoon brought in a batch of colcannon - an Irish delicacy of mashed potatoes and cabbage (or kale, if you'd prefer). 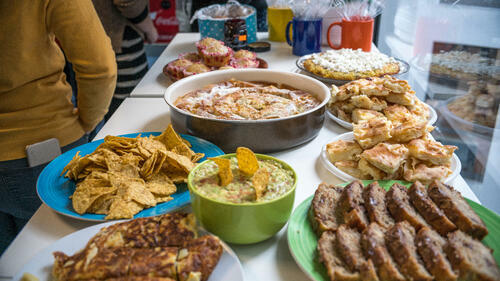 We also had some baklava, Irish nachos and other treats to taste-test. While I don't think free food is necessarily the top answer to improving employee engagement at your organization, I have to say it was a day enjoyed by all! Next up, we'll end the week taking our annual Diversity & Inclusion employee survey. The results will inform our third Diversity report (find the latest one on our diversity page) and we're looking forward to bringing you the results.